Country Office address: Road-4, Block-B, Banani, Dhaka - 1213. PB Coastal Regional Office address: Khan Manjil,Etimkhana Road,Kalapara,Patuakhali. an international NGO with the NGO Affairs Bureau, Bangladesh ref: DSW/FDO/R-102, Date 28.8.1981. FH is a member of the international DRR consortium, Integral Alliance. The 22 members of Integral work in 80 countries, across 40 sectors, through more than 650 partners, with a joint annual turnover of over US$663 million. Head Office: Shahid Smriti Sarak, Barguna-8700, Bangladesh. Liaison office: Genetic West Wood, H # 284-285, R # 2, Adabor, Dhaka-1207. Feroza bhaban, Charcoloni, Town hall road, Barguna sadar, Barguna . 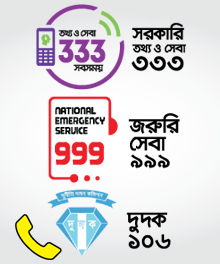 Post: Barguna-8700, Upazilla: Barguna Sadar, Dist. : Barguna.